As the first minor to win the Legal 18 work status in New Mexico, Amber Midthunder is known for her brilliant performance in FX's Legion based on the Marvel Comics as Kerry Loudermilk. Her role as a savant who has to shelter in another man's body in the series is highly appreciated by both fans and critics. We all are up to date with her on-screen projects but what about her real life? Is she dating someone? Who is her boyfriend? We have all the details of her personal life here. Is Legion Actress Amber Midthunder Dating Someone? Who Is Her Boyfriend? The gorgeous actress Amber Midthunder, 21, prefers a low-key personal life and does not share much about her relationships. Since she has kept her life quite mysterious we can only assume that she is single at present. Her busy schedules and new big projects may also be the reasons for her to not involve in a serious relationship. While her fans are still trying to get a single clue about her relationship status and boyfriend via her social media and interviews, Midthunder is still not ready to answer all such questions. She's maintaining her personal life behind the bars and that might definitely for a good cause. To all the male fans of Amber, buckle up you still, have a chance to win the heart of the gorgeous star. 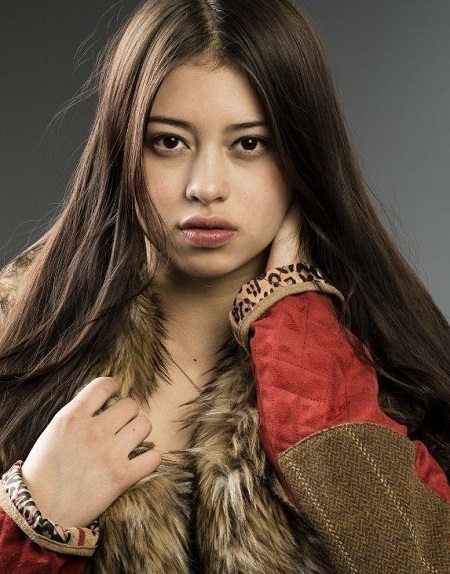 Amber Midthunder started her on-screen career at a very young age of 9. Having an actor father (David Midthunder) and an executive director mother (Angelique Midthunder), it surely helped her a lot in her early movie career. Her debut appearance was in 2001's The Homecoming of Jimmy Whitecloud as the Little Girl. Later in 2008, she appeared alongside Alan Arkin in Sunshine Cleaning. In 2009 she got a role of Young Amaya in the movie Not Forgotten. She also appeared in 2012's television show Longmire and 2013's Banshee. She other works include Drunktown's Finest(2014), Bare (2015), and Spare Parts (2015). She got her first lead role in 2016's Priceless as Maria and is also seen in Hell or High Water (2016). Currently, she is working in FX's first season of Legion alongside Dan Stevens, Rachel Keller, Aubrey Plaza. Amber is also a filmmaker. She co-directed #nightsikethese which received positive reviews and the New Mexico Entertainment Industry acknowledged her work and titled her the first minor to receive “Legal 18” work status. Along with this, she has directed the movie Don't. She was born on March 3, 1991, in Montana USA. She is the first minor to receive the Legal 18 work status. She is from a filmy family. Her father is an actor and mother is an executive director. She loves biking, horseriding, shotting and rock climbing. Her mother was adopted which is why her ethnicity is unknown. She loves animals and participates in animal and environmental rights awareness programs. She stands 5 feet 5 inches tall (1.67)m.